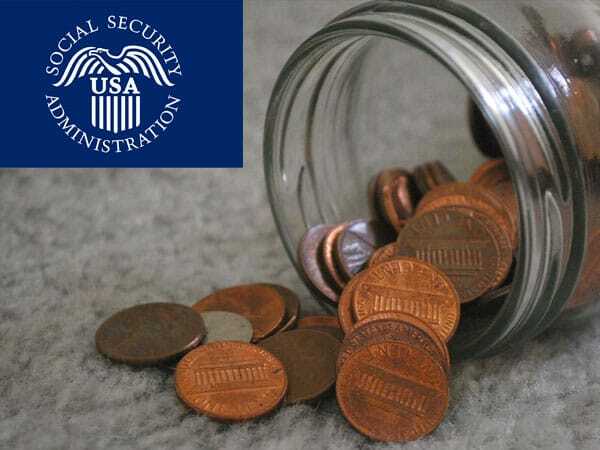 On October 18, the Social Security Administration announced their plans for the 2017 Cost of Living Adjustment, which it applies to beneficiaries’ monthly checks each year to offset rising inflation. However, the news isn’t making anybody happy. Beneficiaries will receive a measly 0.3% increase to their benefits, which translates to about $5 a month. Not only does the tiny increase do nothing to help beneficiaries keep pace with price increases, but it’s coming in tandem with a major spike in Medicare premiums set to happen early next year. All things considered, it’s becoming apparent that Americans can no longer rely on Social Security to provide them with a stable or comfortable retirement. The entire system is headed for disaster, and this news is just the beginning. As if the paltry Cost of Living Adjustment for 2017 wasn’t troubling enough, the Federal Government is adding insult to injury by introducing a Medicare hike of up to 22% (for some beneficiaries) right alongside it. 2.) Paying additional healthcare costs while Medicare premiums skyrocket. To make matters worse, the Social Security system at large is growing less sustainable by the day. If you look closely at the numbers, likening it to a government-sponsored Ponzi scheme isn’t an unfair comparison. “Bad news: The system is already bust. More money is going out in benefits and overhead ($714 billion a year) than is coming in from payroll taxes ($646 billion). For now, the government is covering the shortfall the way it pays for other things: by borrowing, collecting income tax and printing money. “There’s supposed to be $2.7 trillion set aside in a trust fund to cover Social Security benefits. It turns out that this fund is a fiction. The savings account is empty. With the Social Security Administration struggling to keep the system running as it should – mostly holding it together with chewing gum and bailing wire just to meet today’s benefit payments – it’s only a matter of time before reality catches up. If you don’t want to end up like many current Social Security beneficiaries, struggling to make ends meet with shrinking benefits and increasing costs, it’s imperative that you allocate a portion of your savings into something that’s both inflation-resistant and untouchable by the government. Precious metals like gold fit the bill on both counts. Even if you’re a ways off from retirement, the time to start preparing is now. You can only assume the situation will degrade further as you get closer to retirement age, so acting sooner rather than later could be the smartest move.